January 2019: A new paper by Marius is accepted at ChemBioChem. He studies the use of enzymatic activation of biosynthetic building blocks in vivo and in vitro. Find Exploring the Promiscuous Enzymatic Activation of Non‐natural Polyketide Extender Units In Vitro and In Vivo for Monensin Biosynthesis here. November 2018: The HOMBIOCAT-network is launched with Vanessa as our new graduate student. Welcome Vanessa! We will work on enzymatic cascades towards fine chemicals together with groups from Spain and Great Britain. August 2018: The new paper by Michael and Julia in ChemBioChem is accepted and the early view version is online for all to see. The two have established an enzymatic total synthesis of terpenes, starting from acetic acid. Have a look. July 2018: The new Graduiertenkolleg (Research Training Group, RTG) Microbial Substrate Conversion is launched. In collaboration with the Faculty of Biology and Biotechnology at RUB, we will investigate biosynthetic machineries towards a diverse range of compounds from a biochemical perspective. Sascha has joined the RTG as graduate student. June 2018: Letters in Applied Microbiology has published our manuscript entitled Flexible Enzymatic Activation of Artificial Polyketide Extender Units by Streptomyces cinnamonensis into the Monensin Biosynthetic Pathway. We have identified a new enzyme in S. cinnamonensis that directs the incroporation of synthetic building blocks in the biosynthesis of a polyketide natural product. Bernd Diehl from Spectral Service AG has collaborated on the quantitative NMR analysis of the fermentation products. Find the paper here. February 2018: Sascha has joined our group as new doctoral student. Welcome Sascha! January 2018: Michael has handed in his thesis and will defend on February 16th. 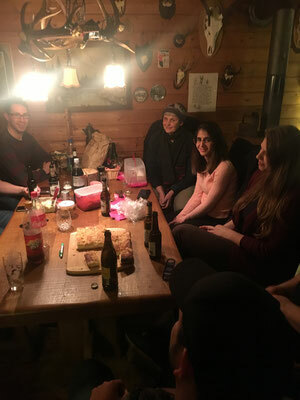 January 2018: As last year, we have met at David's place for a BBQ. This time, he prepared pulled pork. Thank you David! See below for two photos from this evening. January 2018: Clara from Peru has joined our group, supported by the REPU program. Welcome to Germany, Clara! 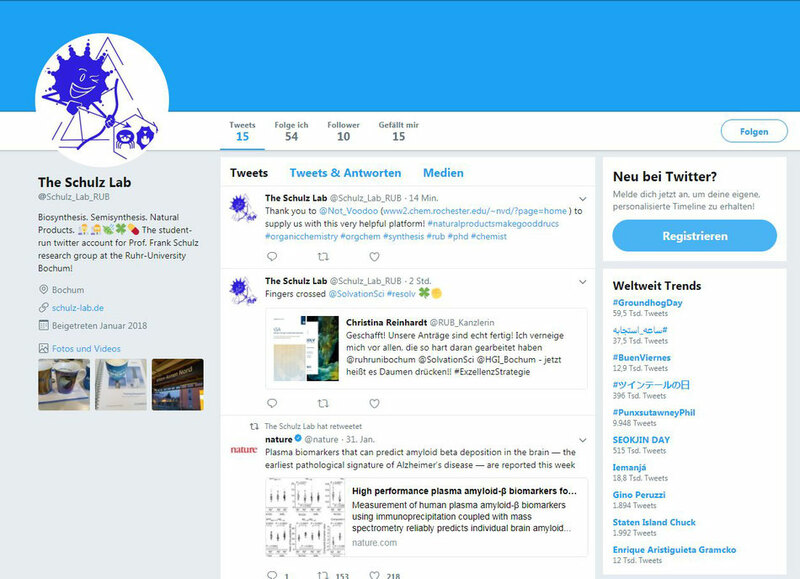 We have a new twitter account on which news on our group activities will be posted. It is fully student-operated and will cover diverse news and activities. Have a look! December 2017: ChemBioChem has published our manuscript A Multiperspective Approach to Solvent Regulation of Enzymatic Activity: HMG-CoA Reductase. This is a joint effort of several RESOLV-groups on the molecular interactions between a complex enzyme and different organic solvents in water-solvent mixtures. Good job! Participating groups: Simon Ebbinghaus, Christian Herrmann, Axel Rosenhahn, and Elsa Sanchez-Garcia. Find the article here. June 2017:Journal of Physical Chemistry Part B has accepted our manuscript Elucidation of the Catalytic Mechanism of a Miniature Zinc Finger Hydrolase. This is a RESOLV-effort of the our lab with the groups of Walter Thiel (MPI Mülheim), Elsa Sanchez-Garcia (Universität Duisburg Essen), Roland Winter (TU Dortmund) and Simon Ebbinghaus (RUB) on the fundamental enzymology of an artificial, fully synthetic miniature enzyme. Good job Michael and David! March 2017: Chirality has accepted our manuscript entitled Stereochemical assignment of Fusiccocadiene from NMR Shielding Constants and Vibrational Circular Dichroism Spectroscopy in collaboration with Christian Merten (RUB). Congratulations to Michael! The article has appeared here: DOI:10.1002/chir.22708 . November 2016: Marius joined our bio team. WELCOME ON BOARD! October 2016: Niclas has defended his thesis today with Stefan Huber as second reviewer and an outstanding result. CONGRATULATIONS NICLAS! July 2016: Niclas has handed in his opus magnum (better known as thesis) for evaluation with Stefan Huber as second reviewer. Good luck, Niclas! July 2016: The Mercator Research Center Ruhr foundation supports a project on the heterologous fermentation of terpenes in collaboration with the group of Juliane Merz at the TU Dortmund. July 2016: Organic & Biomolecular Chemistry has accepted our manuscript on the anti-cancer activity of our premonensin derivatives which target the KRAS-pathway. 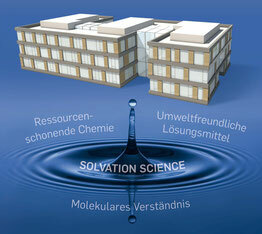 The project is a joint effort with the Wittinghofer group at the MPI Dortmund. Congratulations to Ahmed, Niclas, Samir, Susanna, our former MSc-student Marc and the Wittinghofer lab members. June 2016: Kyra defended her thesis with Robert Kourist from the Faculty of Biology as second reviewer. CONGRATULATIONS KYRA! June 2016: Frank was awarded the "Goldener Rotstift" for the fastest exam correction (the OC II correction turnover time was just below one day) by the undergraduate students in our faculty. It is good to see that teaching effort gets rewarded in gold (even though it appears to be made of gold-coloured lacquer at the second glance)! March/April 2016: Dominik, Fabio, Julian, and Oliver have joined the group for their B.Sc./M.Sc. thesis in the synthesis and bio labs. Welcome and all the best for your research! March 2016: Our work on building-block alterations in polyketide biosynthesis has been highlighted by F1000. The paper on DEBS AT6 and the one on Mon AT5 were both discussed. 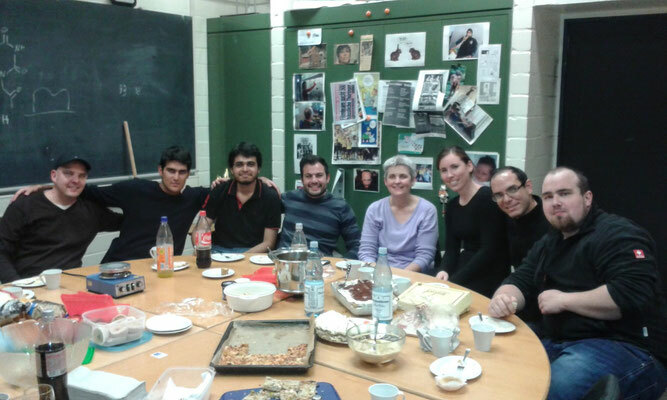 February 2016: Ahmed has defended his thesis as our first member in Bochum with a spectacular result. CONGRATULATIONS AHMED! January 2016: Ahmed has handed in his thesis and will defend on February, 19th. 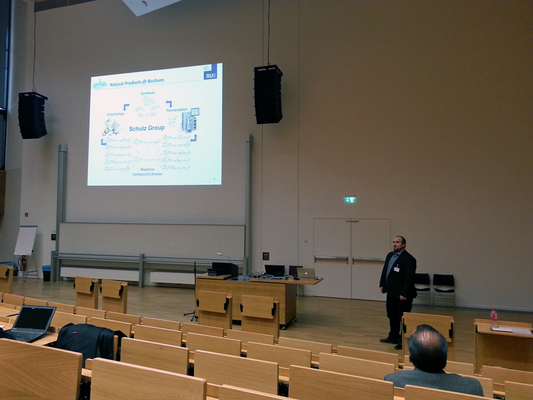 He is our first graduate student who defends in Bochum! January 2016: The group's projects directed towards the discovery of new antibiotics are supported by RESOLV. 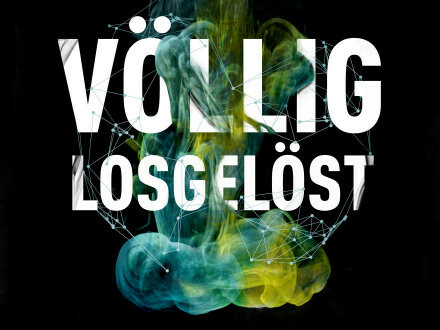 They are now also part of the "Völlig Losgelöst" exhibition of RESOLV at blue square in the city centre of Bochum. At the exhibition you will find an easily understandable explanation of what solvation science targets at using the mixture of techniques, ranging from theoretical chemistry over molecular spectroscopy to organic synthesis. The exhibition is open every day from January 9th to February 14th, 2016 in the blue square building (Kortumstr. 90, Bochum). The exhibition is in German, English translations are available. Pictures at an Exhibition (but actually inspired more by Major Tom than by Modest Mussorgsky): You can find pictures and background information on the exhibition on the RESOLV blog. 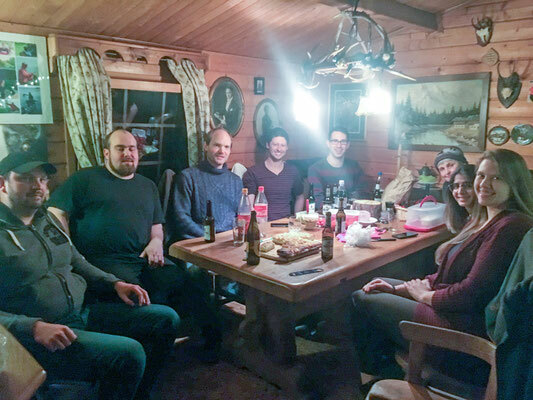 November 2015: The whole group met for a Feuerzangenbowle. 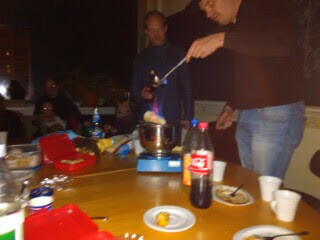 We assembled in the "Fröhlicher Organiker" for a nice group party. 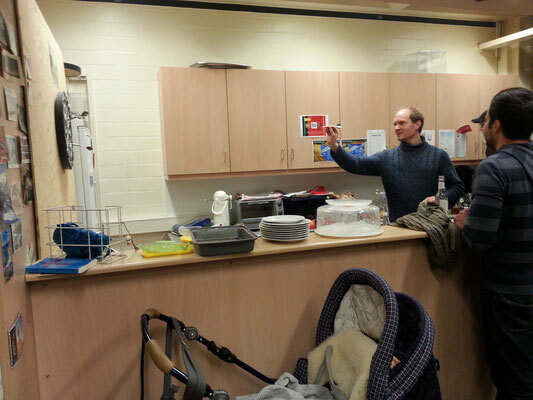 Everybody brought self-made food based on recipes from the respective home countries and afterwards the food was washed down with hot, spiced (and fortified) wine. 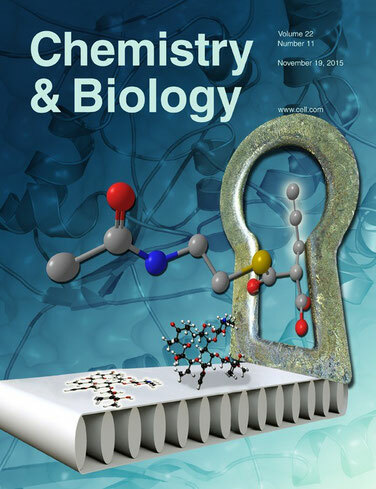 November 2015: We have the cover page of Chemistry & Biology in the November issue with the paper on the substrate recognition of the acyltransferase domain in module 6 of the erythromycin polyketide synthase (see entry from October). 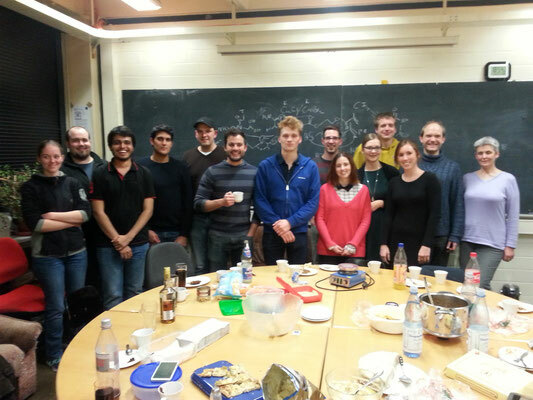 October 2015: Julia fantastically defended her thesis as the last member of the group to graduate in Dortmund. Congratulations, Julia! 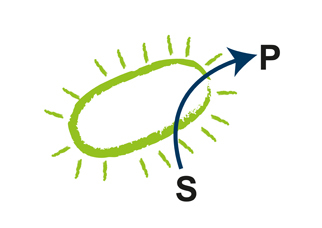 October 2015: Stephan together with Kyra, Uschi, Samir, Julia and Susanna and the Sanchez-Garcia group have a new paper on the substrate recognition mechanism of polyketide synthases in press at Chemistry& Biology. It is accompanied by a methods paper in Data in Brief. 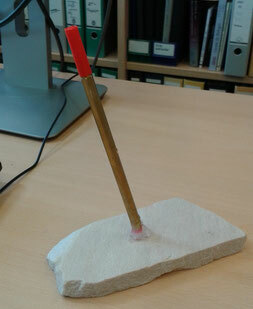 Congratulations to this successful team effort! September 2015: Julia has handed in her thesis and will defend on October 20th in Dortmund. 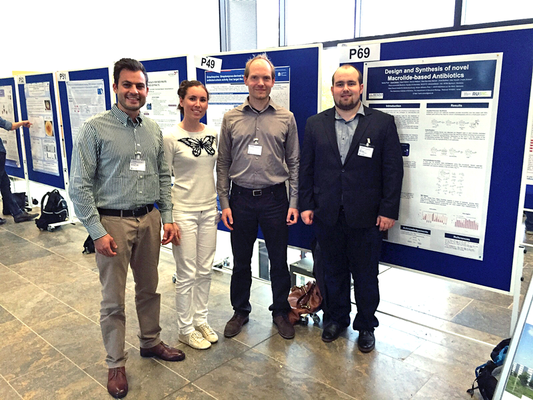 September 2015: We went to the 2nd European Natural Products Conference in Frankfurt. Ahmed and Danae presented posters, David gave a talk on his semisynthetic natural product derivatisation. August 2015: Summer Outing. We all met for a BBQ at Stephan's place, enjoying perfect weather in a great location. July 2015: Our new homepage goes online.